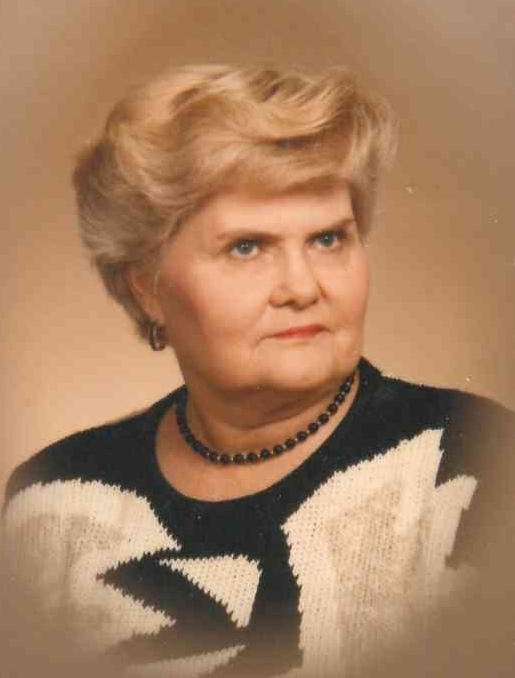 CLEVELAND—Mary Patridge Robbins, age 87, beloved mother, grandmother, and friend, went to be with her Lord and Savior on Saturday, January 19, 2019 at the Cleveland Nursing and Rehabilitation Center in Cleveland. Visitation will be held Saturday, January 26, 2019 from 11:00 am to 12:00 pm at the Cleveland Funeral Home in Cleveland. Celebration of Life Services will follow immediately at 12:00 pm in the Cleveland Funeral Home chapel. Burial will be at the New Liberty Cemetery in Alva, MS. Her son, Randy Robbins, will officiate the service, assisted by Tommy Lindsey of West Monroe,LA and Jim Brown of Cleveland. Mary was born April 17, 1931 to Herman and Mamie Clark Patridge in Winona, MS. She grew up in the Lodi community in Montgomery County. Mary graduated from Eupora High School in 1948. She married Hugh Edison Robbins and together they moved to Florida for a few years before moving to Cleveland, MS in 1955. Mary worked at Ben Franklin’s, Top Dollar Store, and was Office Manager for Dr. John Abide for 20 years before going to work at Delta State University in the Computer Information Systems Department. She retired after 28 years and was honored to be granted Emeritus status by the university. Mary loved walking and bird watching. She enjoyed going to DSU basketball games, eating out with her friends and watching football games on television. She also loved and enjoyed her family of friends as well as her church family. Mary was a member of the Immanuel Baptist Church since 1955. The family wishes to express a sincere thank you to all the staff and residents of Providence Assisted Living and the staff at Cleveland Nursing and Rehabilitation Center. The family would also like to thank the many members of her volunteer care team that helped to look after Mary in her later years, with the primary ones being Rayburn and Jean Mosley, Sally Rogers, and Rob and Jessie Christensen. Mrs. Robbins was preceded in death by her parents, Herman and Mamie Patridge, husband Hugh Edison Robbins, two sons, Mitchell Drew Robbins and Michael Hugh Robbins, sister Katherine Bell, and a sister-in-law, Marie Robbins. Mary is survived by her son, Randy Robbins of Dallas, TX, niece Charla Chandler of Kosciusko, MS and a granddaughter, Marianna Robbins of Madison, MS.
Pallbearers will be Jim Brown, Ed Ballard, Rayburn Mosley, Darry Hardy, Jerry Van Namen, Rob Christensen, and Jessie Christensen. Honorary pallbearer will be James Boggs. Memorials may be made to the Delta State Foundation, Development Office, P. O. Box 3141 DSU, Cleveland, MS 38733.